French water pump made, circa 1820, which would make for a wonderful water fountain. The cast iron pump should last forever outside. We have several listed on 1stdibs for sale and all came from a retired French antique dealer in Brittany. 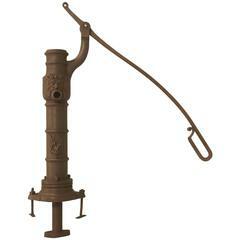 Antique French Fountain water pump, that could be made functional again, or simply be used as a garden ornament. We are listing several on 1stdibs for sale and all very reasonable. 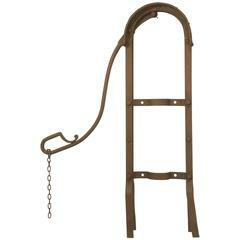 Antique French garden pump bracket, which could make for an interesting garden trellis. A very rare spout with a wonderful patina. 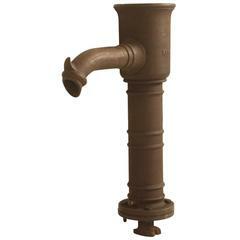 Original and authentic antique solid iron spout. Excellent quality. Rare and unique. Decorative accent. Available right now.